In this physically engaging workshop, individuals will explore verbal conversations and physical conversations around the topic of Masculinity. What is it? What is it not? How did you learn about it or come to know it? What do you/will you pass on about masculinity? Using movement concepts and structures to enhance and further the discussions, participants will unearth assumptions, truths, and myths about their personal and societal views of masculinity. This is a fun and rich bonding experience for participants to explore and excavate their values, perceptions and negotiate consciousness around masculinity. All are welcome! Facilitator: Vincent E. Thomas, Artistic Director of VTDance, www.vtdance.org. 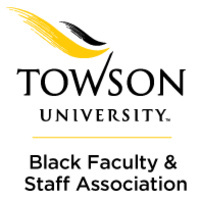 For more information, questions or concerns, contact bfsa@towson.edu or call Dena at 410-704-2365.